Lumen Tights recently sent Hosiery For Men samples of the men’s tights made by Tim Legwear, a hosiery manufacturer based in Bulgaria. 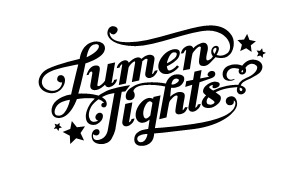 Lumen Tights are an online hosiery retailer, based in the UK. They stock a range of men’s tights from the TIM Legwear brand. You can still read Part 1 and Part 2 of the interview with the founder of Lumen Tights, Jurgita Preiksaite. Our first review is of the TIM Legwear Force 40 denier men’s tights. The TIM Legwear Force 40 denier men’s tights are made from 85% Polyamide and 15% Elastane. The tights are attractively packaged in a card sleeve that is enclosed in a clear plastic envelope. The tights are folded around a plain card rectangle. The Force 40 denier tights look really long once removed from their packaging. In the Size 4 that I tested, there was clearly not going to be any issue with the leg length. These tights have clearly been designed with men in mind. Legs are straight and toes have additional reinforcement. The fabric in the legs is semi-sheer. The brief is reinforced and constructed with denser material. The centre seam is conventional rather than flat. There is a male comfort panel at both the front and rear of the brief. The waistband has clearly been designed with comfort in mind and is 4cm wide. 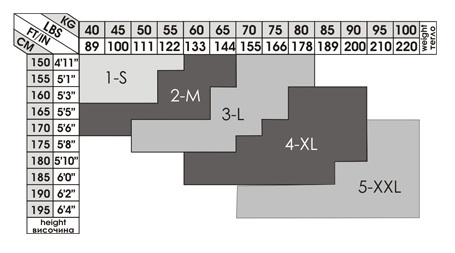 The TIM Legwear Force 40 denier men’s tights are available from Lumen Tights in three sizes: 3 (L), 4 (XL) and 5 (XXL). I tested a pair in Size 4. The Force 40 denier tights were a good fit. There was plenty of room in the leg and the tights didn’t need to be overstretched. The fabric is really soft and smooth, with a very slight shine. The glide under trousers was really excellent. However, the material is also quite delicate and if not handled carefully might ladder. The brief had a reasonable amount of depth and the front comfort panel was excellent. The TIM Legwear Force 40 denier men’s tights are currently available from Lumen Tights in just one shade: Black. The website of TIM Legwear indicates that a wider range of shades might be available. TIM Legwear Force 40 denier men’s tights cost £8.59 at Lumen Tights. UK orders of over £20.00 are shipped free. The TIM Legwear Force 40 denier men’s tights are good, basic men’s semi-opaque tights. They would be a good choice in cool, but not very cold, weather for a light additional layer under trousers. The positives for me were the leg length and the well-designed male front panel. These tights were also really comfortable to wear. In appearance they look like those sheer men’s executive socks that are popular in countries such as Italy and Spain.